Malaria is a life-threatening disease and it is transmitted through the bite of an infected Anopheles mosquito. It is usually found in tropical and subtropical climate because this climate is favorable for its survival. 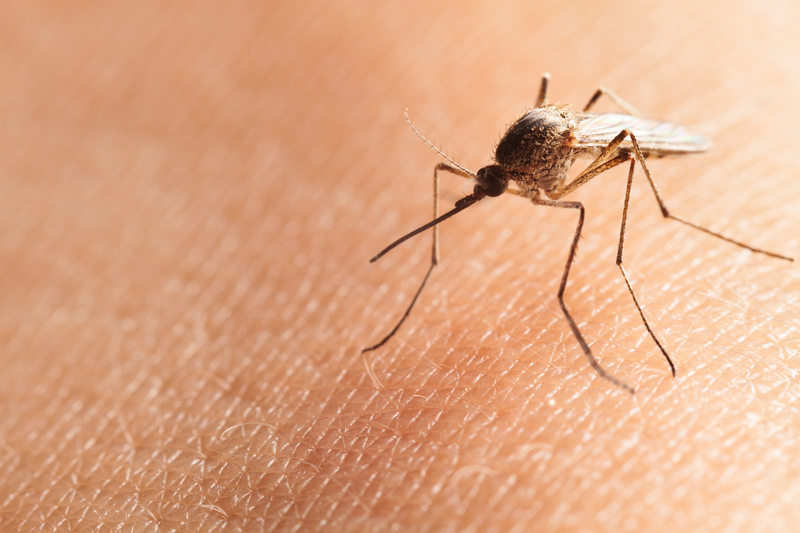 Infected mosquitoes carry the Plasmodium parasite. Post biting by an infected mosquito the parasite is released into the bloodstream.Once the parasite reaches in the body, it travels to the liver where it matures. After this, mature parasites enter the bloodstream and begin to infect red blood cells, where it multiplies within 48 to 72 hrs and causing the infected cells to burst open. This process is continuous and after this symptom of malaria are seen.All symptoms of malaria usually appear within 10 to 15 days after the bite of infected mosquito.The first symptoms – fever, headache, and chills– may be mild.Other symptoms are profuse sweating, nausea, vomiting, diarrhea, muscle pain. Sometimes in severe condition, few more symptoms are observed like convulsions and coma. Fortunately Malaria is both preventable and curable.For the prevention many tips are available like sleeping in the mosquito net, covering your skin with mosquito repellent cream, using sprays which containing DEET in your home; don’t let stagnant water collect in and near your house etc.Some allopathic and homeopathic medicines are used for prevention of malaria. Many homeopathic medicines are effective in case of malaria.Few are described here. China– This is one of the best medicine in case of malaria. It is effective in every stage of malaria. If high fever with a chill, perspiration with great exhaustion is seen then China is the indicated remedy.China is one of the most effective homeopathic medicines for malaria with high temperature that returns every week. The person complains of chill in the morning with debilitating night sweats. Nux vomica– Nux vomica is indicated medicine in malaria case with marked chilliness and shivering (cold stage) with blueness of fingernails.If a person feels chilliness on being uncovered, yet will not want to be covered in such condition N.V. is the right medicine. Eupatorium perfoliatum– This is very effective for malaria with profuse sweating.In this medicine, all complaint except a headache is relieved by sweating.The person experiences chills, mostly between 7 am and 9 am, preceded by strong thirst and aching bones. Arsenic album-Malaria with marked periodicity is a very important feature of this remedy.All complaints are aggravated after mid night.Great restlessness with a high fever is present. Pulsatilla– Pulsatilla is the effective medicine for malaria if chillness with pain is present in certain spots mainly in the evening.In this condition pain shifts from one site to other.The patient feels better in fresh air & aggravated in indoor. Natrum Muriaticum -Continuous chilliness along with a headache, especially on waking in the morning is the main symptoms of this remedy.If a headache persists from sun rise to sun set with other malarial symptoms then Nat. The Mur is the indicated medicine. FerrumPhosphoricum– Chill occurring daily at 1 pm, with marked prostration, are attended well with FerrumPhosphoricum, making it one of the most remarkable Homeopathic medicines for malaria. If you are suffering from such disease, consult an experienced homeopath for right homeopathic medicine. You can also contact us and get in touch with Dr. Rajesh Shah’s associate doctors at Life Force Homeopathy. -Written by Dr. Priyanka A, Associate Doctor to Dr. Rajesh Shah.